Have you been looking for the answer to: “Can I give my dog pain medicine?” or “What kind of pain medicine can I give my dog?” Well, look no further. We’ve spent countless hours researching the top 10 pain medications for dogs in order to help dog owners everywhere. Nothing breaks a pet parent’s heart more than seeing their fur baby in pain. Pain can stop your dog in its tracks, keeping them from enjoying the activities they love the most. Help your dog feel better faster with these pain medicines. Note: The advice in this blog should not be substituted for the sound medical advice of a veterinarian. If you notice that your dog is in pain and you’re unsure of the cause, call your vet as soon as possible so that they can determine the seriousness of the ailment. Avoid long term use of pain medication unless otherwise instructed to do so by your veterinarian. While medicating your dog, closely monitor their behavior and health and call your vet if your dog isn’t improving. According to the label, this medication is formulated to relieve “discomfort associated with regular exercise and normal activity.” The active ingredients include glucosamine, bromelain, methylsulfonylmethane (MSM), white willow bark extract, and yucca root, which are great anti-inflammatories that promote joint health. A 50-count bottle is available for $6.79 on Amazon. 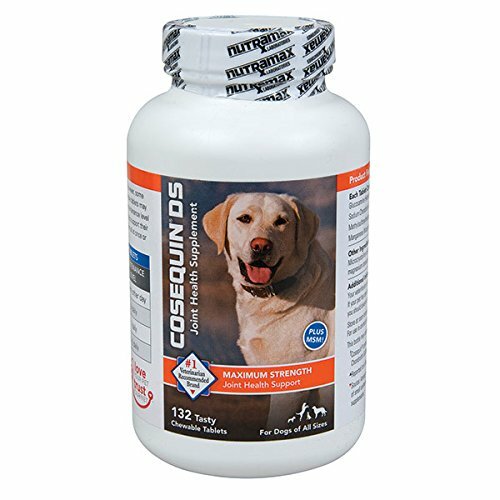 Cosequin DS is one of the highest rated and reviewed joint health medications on the market. 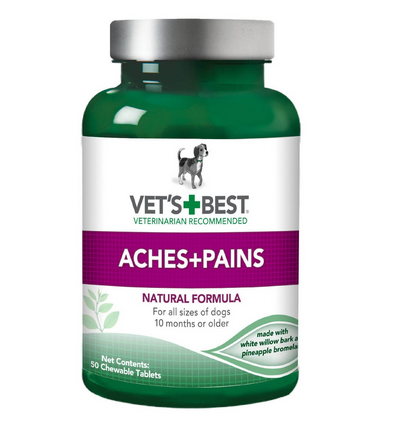 In fact, it’s the #1 veterinarian recommended retail joint health supplement brand. It helps with dogs who suffer from arthritis or joint pain due to age or weight. If your dog doesn’t like taking pills, then you’re in luck because it’s also available in a soft chew. A 132-count bottle is available for $34.95 on Amazon. 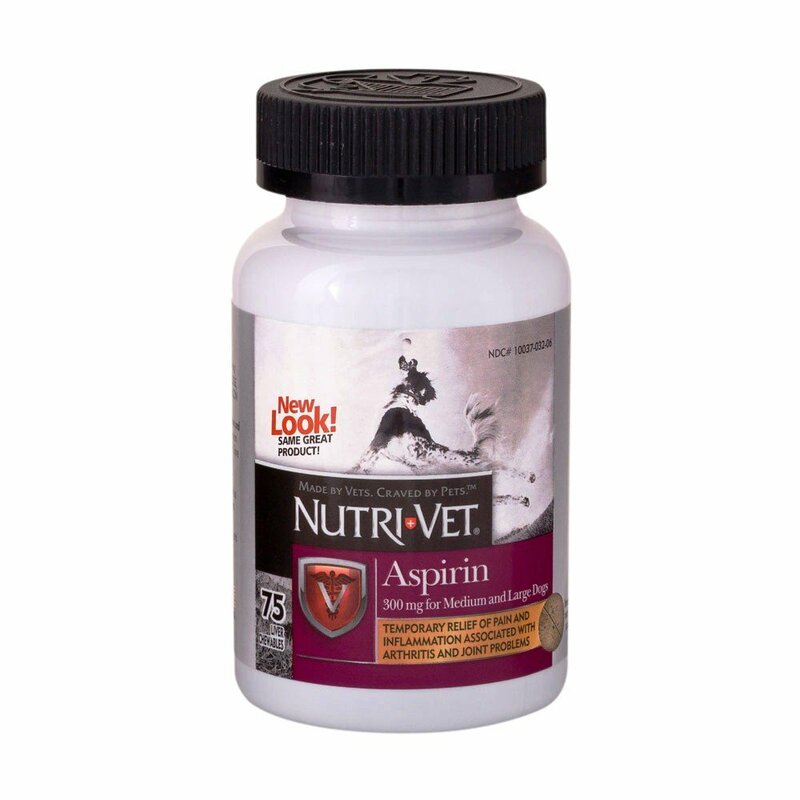 According to its label, Nutri-Vet K-9 aspirin is for the “temporary relief of pain and inflammation associated with arthritis and joint problems.” The aspirin is available in 300 mg tablets for medium and large dogs and 120 mg tablets for small dogs. The active ingredient is aspirin. A 75-count, 300 mg bottle retails for $11.49 on Amazon. In case it wasn’t obvious by the title, the active ingredient in this medication is turmeric. Curcumin, which is the primary compound in turmeric, is known for being a potent anti-inflammatory. Its low risk for side effects and hypoallergenic composition make it a great option for dogs prone to allergies. 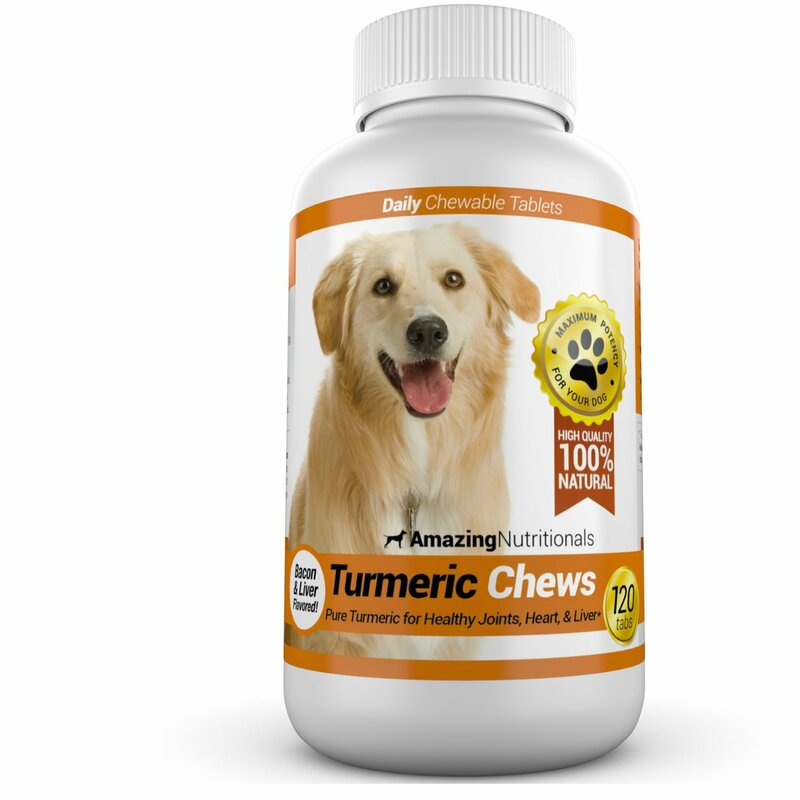 Turmeric Chews is available on Amazon for $21.97. 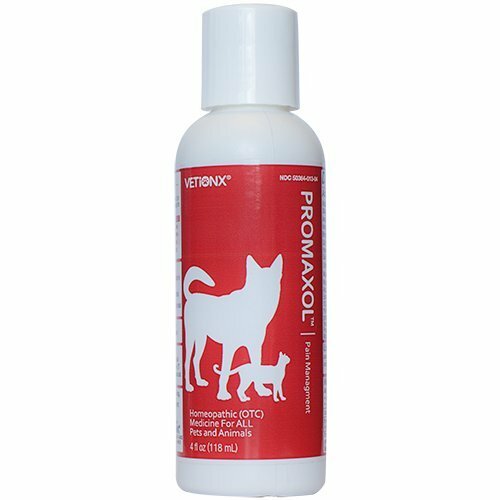 According to VetiONX, this “fuss-free liquid formula can be added undetected to your pet’s water.” This is a plus if your dog is a picky eater or trickster when it comes to taking medications. A bottle of Promaxol retails for $39.00 on Amazon. Named after the World War II canine war hero, this gel works to relieve hotspot, arthritis, and muscle pain through its use of buchu oil. Buchu oil is known for its anti-inflammatory and antiseptic properties, making it an ideal ingredient for pain relief. 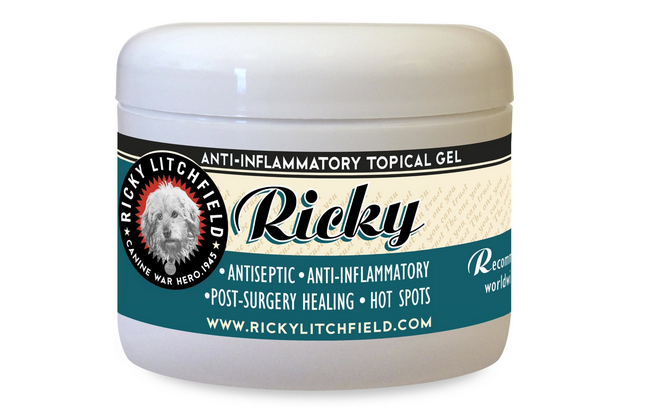 Ricky Litchfield Topical Gel is available for $19.95. 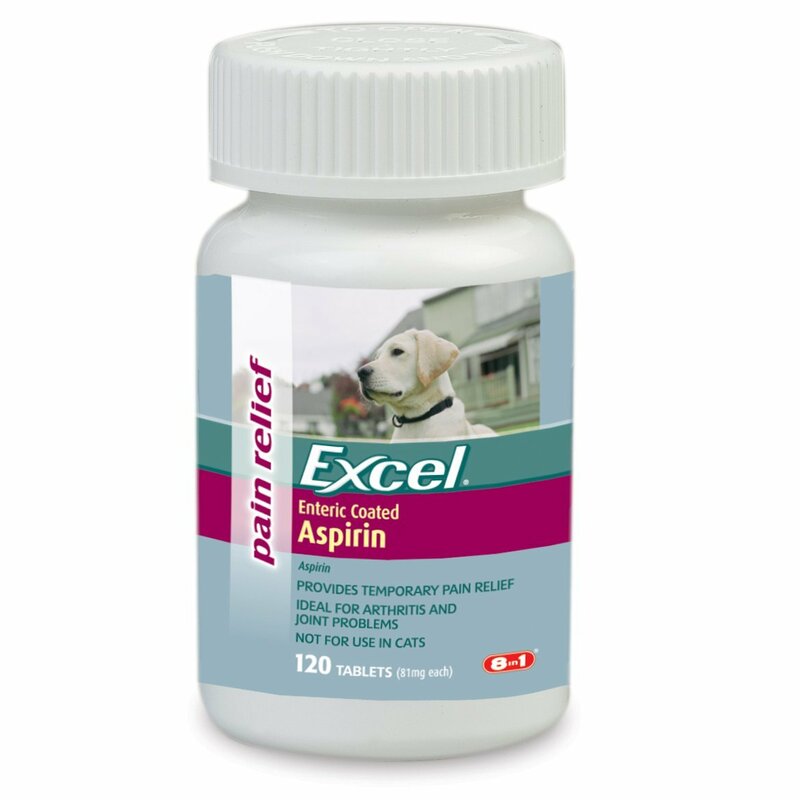 According to the label, Excel Aspirin for Dogs “relieves minor aches and pains and inflammation associated with arthritis and joint problems.” The enteric coated pills make it easy on your dog’s digestive system, helping to prevent ulcers. Excel aspirin is available for $5.68 on Amazon. 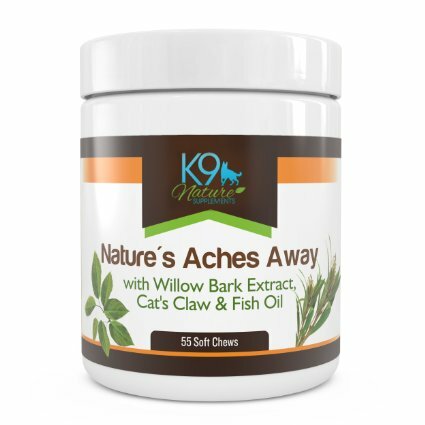 These soft chews are formulated with fish oil, cat’s claw root extract, willow bark extract, and other natural ingredients. The three active ingredients are known to relieve joint pain and arthritis. These chews are an excellent choice if you want to give your dog all natural medicine. You can purchase Nature’s Aches Away for $29.77 on Amazon. This particular medication is engineered specifically for senior dogs. The glucosamine in the tablets works to naturally restore joint health by improving joint lubrication and anti-inflammation. Because it has rare side effects, glucosamine is a safer option for sick or sensitive pets. 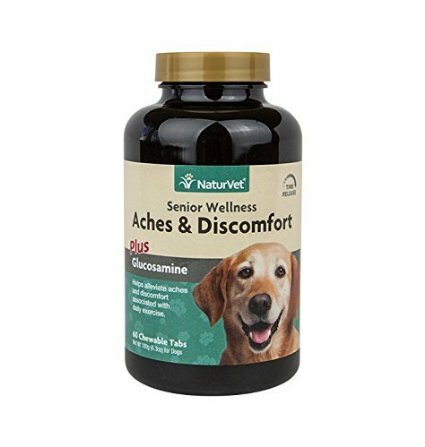 NaturVet Senior Aches and Discomfort is available for $10.75 on Amazon. Last, but not least, is plain old aspirin. As we’ve mentioned in previous blog posts, the only human pain medicine that is safe to administer to your dog is baby aspirin, also known as a low dose aspirin. Even though low dose aspirin is safe for dogs, you should follow these guidelines to avoid over-medicating your pet. 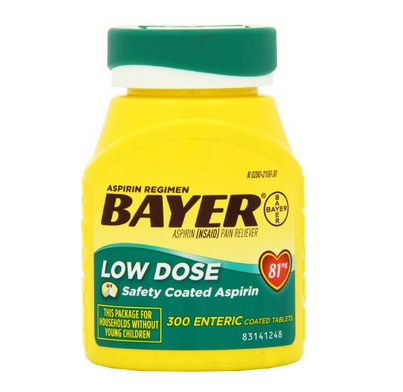 Bayer, the #1 bestseller in aspirin, is available for $10.87 on Amazon. Knowing the cause of your dog’s pain can help when buying pain medication. The active ingredients in the medication are what’s most important and helpful in relieving discomfort. The most common active ingredients in dog pain medication are glucosamine, chondroitin, methylsulfonylmethane (MSM), turmeric, bromelain, and aspirin. Glucosamine is naturally found in the body and when taken as a supplement appears as either a hydrochloride or sulfate. Glucosamine helps alleviate pain by improving the health of the cartilage found in your dog’s joints. Chondroitin is also found in the body naturally and is frequently paired with glucosamine in order to improve joint health and mobility. MSM is an anti-inflammatory used to treat arthritis and other joint inflammation. The sulfur found in MSM is a key component in the composition of joints, cartilage, and skin. Turmeric has anti-inflammatory properties, which makes it ideal for dogs suffering from swelling and stiffness. Similarly, bromelain is an enzyme found in pineapples that works against inflammation, especially in the sinus area, which makes it a good choice for dogs with seasonal allergies. If you’re looking for something to treat a more generalized medication, you may want to consider aspirin but be extremely cautious when using low dose aspirin. Aspirin is a nonsteroidal anti-inflammatory drug (NSAID) used to treat general pain caused by over exercise. The FDA has approved the following NSAIDs for use in treating dog pain: carprofen, deracoxib, firocoxib, and meloxicam. 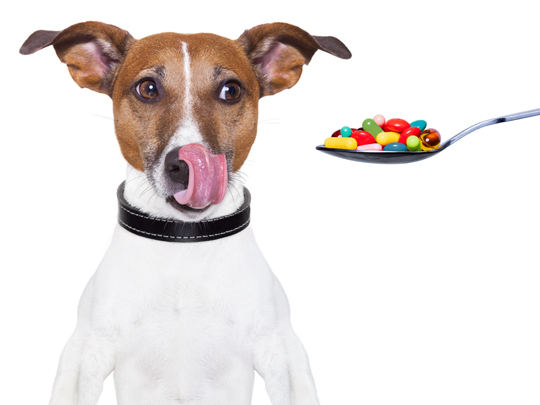 If you do choose to give your dog medication, we have some tips on how to give your dog medication. Dealing with a sick pet is no fun, but you don’t have to standby and feel helpless while your dog languishes away in a corner. When used appropriately, pain medication can help your pup feel better faster. That way your little furballs can get back to chasing squirrels, jumping on the couch, doing other things they love. 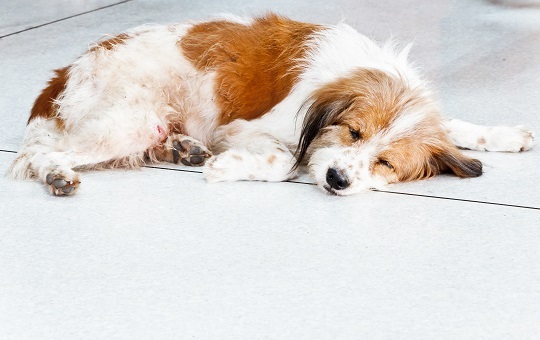 If you’re still not sure which pain medication is right for your dog, call TalkLocal and we’ll connect you with a veterinarian who can help. – Tip more if your dog or cat is large, difficult, or needs special care. – Tip full price for puppy grooming since puppies are difficult to handle. – Tip extra if you have an old dog because they’re often harder to groom than other dogs. While the minimum amount listed above would be a great start when tipping pet groomers, there is no limit as to how much you want to tip for an exceptional service. It’s all about how satisfied you are and how much you want to show your appreciation. Why Tip Your Pet Groomer? You would probably agree that it is hard to find a good pet groomer. You’ve might have heard of unpleasant stories from other pet owners or have experienced horrible pet service yourself. That’s why when you find a service you are happy with, it’s only fair to tip, especially when your pet requires extra level of care. Remember that the bill you paid for the pet grooming service does not include gratuity, so tips are a big help to groomers and are always appreciated. Tipping pet groomers may also work for you and your pet if you’re a regular customer. Groomers would be more than willing to do an extra favor for your pet when you tip. Usually, if you’re a regular or generous tipper, you can expect your groomer to always make the time for your pet even at the last minute or on a busy day. Find a Pet Groomer or Vet Quick! Do you need to get in touch fast with a good pet groomer or qualified veterinarian in your area? Seva Call can help you. We are expert matchmakers, connecting people with the service professional they need. With our free service, you’ll be speaking with the right professionals in a matter of minutes. Tapeworms can compromise your dog’s digestive system and lead to a series of complications that may worsen the situation. To avoid this worst-case scenario, make sure you schedule an appointment with a competent local veterinarian. An expert will be able to diagnose the problem in a timely manner and prescribe the very best tapeworm medicine dogs may need that could save the life of your pet and improve its condition fast. The good news is that you don’t need a prescription to buy the best tapeworm medicine for dogs. Most of the pills recommended in this case are based on an active ingredient called praziquantel, which manages to eliminate both types of tapeworms: D. caninumn and T. pisiformis. These pills are suitable for oral administration and can also be minced and mixed with the dog’s food. Don’t know which type of tapeworm medicine for dogs would be more effective? In this case, ask your vet for advice. If you don’t have one, identify the most competent veterinarians who work in your area with Seva Call, your reliable connection to the best professionals. Tapeworms represent one of the most common health problems, affecting millions of dogs on an annual basis. It doesn’t go away on its own, so owners will have to rely on the very best tapeworm treatment for dogs to eliminate this pressing issue. Since your dog can’t speak, it cannot let you know that it is sick. This is why you have to pay attention to all of the symptoms associated with the presence of tapeworms in dogs, for instance vomiting, diarrhea, changes in appetite, bloated belly, abnormal behavior, and sudden weight loss. Note that a mature tapeworm can measure up to 20 cm (8 inches), and can jeopardize the dog’s digestive system, triggering a series of extremely serious health problems. To get rid of tapeworms, you could rely on natural remedies, or you could choose to pay a visit to the vet and get the right medication. If, for some reason or another, you can’t make it to the vet and you believe that your dog has tapeworms, try to give him a few natural, risk-free remedies that may solve the problem. For instance pumpkin seeds, garlic, one tablespoon of wheat germs oil served with every meal, or 6 drops of Oregon grape juice administered twice a day per each 4.5 kilos (10 pounds). It may be difficult for you to convince your dog to eat garlic, but you have to try all of these safe methods to enable it to get rid of tapeworms naturally. Pet lovers would do everything in their power to make sure that their four-legged friends live a happy, comfortable life. Unfortunately, this is not only a matter of choosing the right pet supplies. In some cases, pets — especially dogs — are forced to deal with a wide range of diseases that affect their mood, their looks, and their welfare, and can even put their lives on the line. Worms represent the most common and incredibly disturbing health problem affecting our canine friends. Prevention and early detection can make a great difference in the life of your tiny companion. Here are some of the most common symptoms of worms in dogs that you should take into consideration. Start by analyzing and interpreting the symptoms of worms in dogs. One symptom should not be treated as irrefutable evidence that your dog has worms. The fact that it is not eating or has a bloated belly may be a sign of indigestion, for instance. Nonetheless, the association of two or three of the symptoms listed above could point in the same direction, indicating that your dog could have worms. Worms have to be eliminated in a timely manner, to reduce health risks. To get the best treatment for your companion, take it to a respectable veterinarian. Find the best ones in your area with Seva Call, your free connection to the best professionals in your area. Snakes and lizards are cold-blooded animals that are often kept as pets. 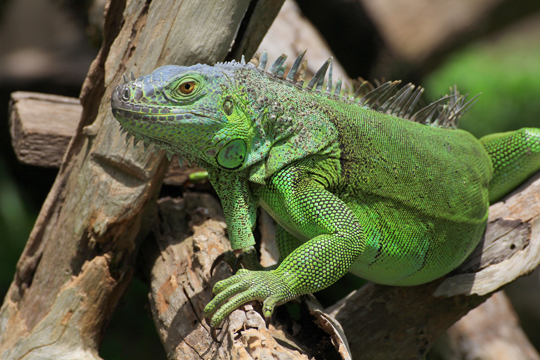 Lizards and snakes are typically inexpensive to purchase, and are also hypoallergenic pets. However, the equipment needed to care for them in the long run can cost many times the amount needed to purchase them. You have to take care of their body temperature because they are cold-blooded, meaning that their body temperature is dependent on the temperature of the outside environment. This will require that you purchase heat lamps to keep the temperature consistent. Make sure to give specialized care. These reptiles, especially snakes and lizards, grow to large sizes. This means that their living quarters have to adjust as they grow older. Make sure you have enough space in your home to accommodate their increasing size. Reptiles may seem like a good choice initially for an apartment, but as they grow larger, they won’t be. Be sure to keep yourself safe. There are reptiles that are not safe to handle. Things like venomous snakes are obviously off-limits, except for expert handlers. Be very wary of contracting Salmonella. Many reptiles carry Salmonella, so you have to be very careful when handling reptiles to make sure you don’t infect yourself with this bacteria. Contact TalkLocal today and let us help you find a veterinarian near you. 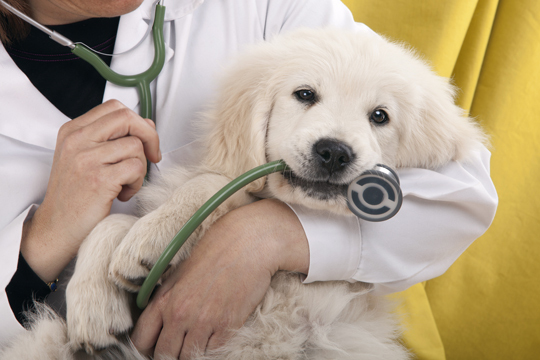 A qualified veterinarian will be able to tell you how to properly care for your pets. So, you have found a new, furry friend, but you need a place to put it! You can’t just go out and buy any old terrarium or kennel for a rabbit, however. You’ll need to find the right type of cage. Here are some tips when shopping around for cages for rabbits. If you plan to keep your rabbit in an apartment, you should choose a cage of an appropriate size. You should also consider how many rabbits you are keeping and where you will put the cage. If you are keeping more than one rabbit of different sexes, it is important to spray or neuter your pets. Will you put it indoors or outdoors? If you will put it outdoors, it needs to have a roof. Many commercially available cages for rabbits are too small for rabbits. Many pet owners prefer to build their own, or use dog or cat pens to house their rabbits. You can opt to build a shelter for your pet using wood, or even build a small shed for your rabbit. The size of the cage matters. We can’t stress this enough. A cage that is too small will make for an unhappy pet. As a general rule, the rabbit should be able to move around comfortably in a cage, and should even be able to run around a bit inside the cage. The mesh of the cage matters, as well. A mesh that is too large, especially if you plan on breeding your rabbits, will allow the babies to fall out. So make sure the mesh is just the right size. Generally, the smaller the mesh, the better. Never use wire flooring, as this will hurt the feet of the rabbit. Instead, opt for solid flooring made of plastic or wood, and use bedding material as well. Rabbits are easily litter-trained. 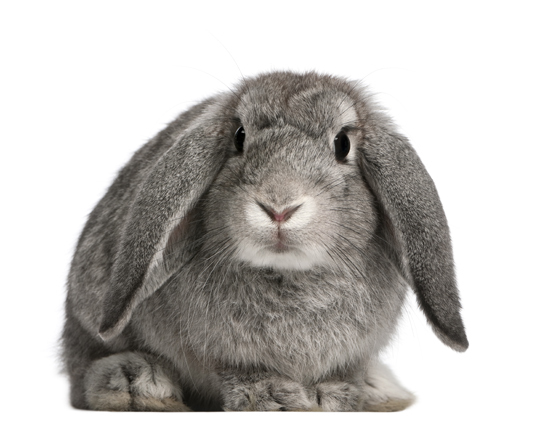 Need Veterinary Help for Your Rabbit? Still confused by cages for rabbits? Contact TalkLocal today for expert advice. We can help you find a veterinarian who will be able to give you advice on caring for your rabbit, and keeping it in good health. Mice, guinea pigs, rabbits, gerbils, and hamsters are all rodents. How to care for rodents is relatively simple. These rodents are inexpensive, and caring for them is inexpensive as well. Rodents are found easily in pet stores, but it is recommended that you buy from breeders instead of pet stores to avoid rodents that bite. Additionally, breeders will often have more color varieties that will suit your liking. Rodents are warm-blooded animals and are often fluffy. They are a popular favorites of children because they are usually tame and their temperaments are predictable. The most popular food for rodents is pellets that can be purchased in pet stores. Feed your rodents once a day and remove any uneaten food the next day. Supplement their diet with fresh food like carrots, cabbages, and other vegetables every day. Be careful not to overfeed them with vegetables, however, or else they may develop diarrhea. Cages are the most popular housing available. However, make sure the cages have a solid bottom on which the rodents can stand, because all-wire housing will be painful on their legs. Houses that are too small will be inadequate, too. Aquariums are also a good choice. Place a wire lid over the aquarium for good ventilation. Make sure fresh water is always available. Water should be given in drip bottles with balls at the end. Change the water daily to make sure it is always fresh. Clean the water bottle at least once a week. Wood shavings are the preferable bedding for the rodents. These can be bought cheaply at pet stores. Change the bedding once every two weeks. 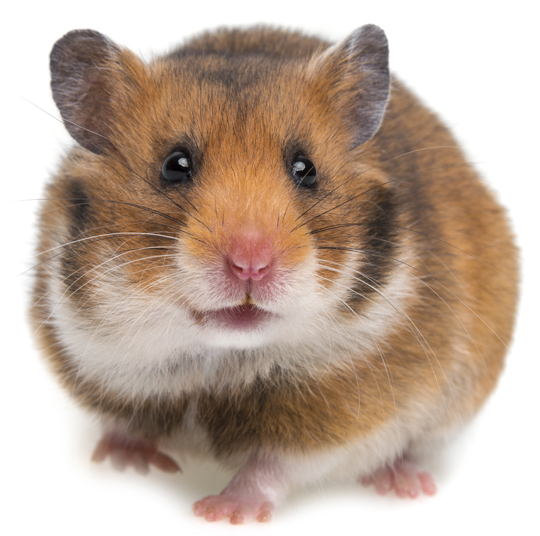 Need help caring for your pet rodent, or worried that your furry friend may be ill? Contact TalkLocal today and let us help you locate a veterinarian near you! What Kind of Pain Medicine Can I Give My Dog? 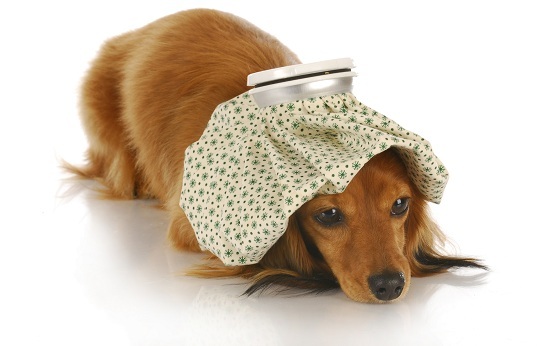 For the pet owner, there is nothing more stressful than a sick pet. Anyone who has owned pets can tell you all about the heartbreak of looking into the eyes of a pooch in pain, so if you’re thinking about giving human pain killers to your dog, let us assure you that you are not alone. Get the highest rated Dog Pain Relievers shipped overnight from Amazon starting at $5.68. 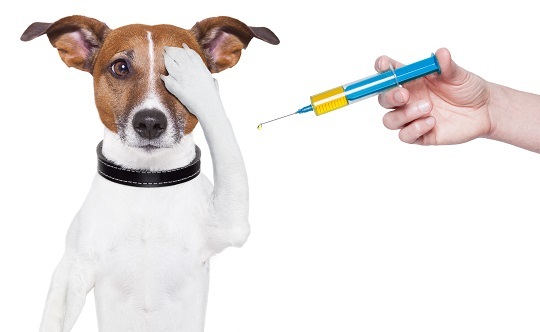 One of the most common questions asked of veterinarians is “What kind of pain medicine can I give my dog?” In fact, every day many pet owners simply reach into the medicine cabinet and give Fido a dose of whatever headache remedy they have on hand – but is that really a good idea? Unless you’re certain that the medicine you’re using will not hurt your dog, you may be doing more harm than good. 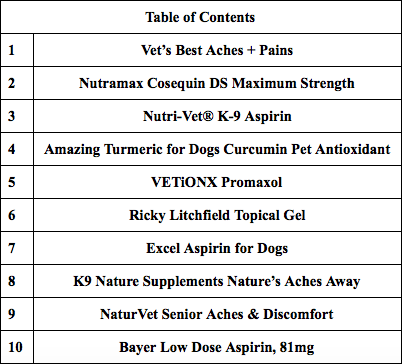 Check out our top 10 list for dog pain medication. The first order of business for any animal in pain is to determine why the animal is hurting. Has it eaten something it shouldn’t have? Is it injured? If you’re not sure, then you should get the doggie to the vet for an examination before giving the poor guy (or gal) any medicine at all. Does your dog usually display signs of pain when it’s cold or raining? Have an older or overweight pet? The pain may be caused by arthritis. Consult your veterinarian if you think this may be the case. Your doctor may start your dog on a joint health regimen. Simply dosing up your pet without knowing exactly what’s wrong may relieve your pet’s pain, but you could be simply masking the symptoms of a serious issue that needs immediate medical attention. So, here’s the answer to the question: “ What kind of pain medicine can I give my dog?” The only – and let us repeat that for emphasis – the only over-the-counter medication that is safe for your dog to take is plain old aspirin. Now, don’t get ahead of yourself and give the dog a full human dose. Aspirin is only good for short term use due to its potential side effects. You’ll want to use baby aspirin for your pets – one baby aspirin per 35 lbs. of body weight is the general rule. Get the highest rated Dog Pain Relievers shipped overnight from Amazon starting at $5.68. Never, ever give a dog acetaminophen (or Tylenol, as it’s more commonly known) unless specifically instructed to do so by your vet. Acetaminophen has been known to be fatal to dogs and cats. Also to be avoided is ibuprofen, or Advil, as it can cause upset stomach and ulcers. Stick with baby aspirin if you must give your pet something, as it’s gentle and trusted. Here’s how to give your dog medicine. If you have a cat or dog who isn’t feeling well, TalkLocal can help you find a vet in your local area who is ready to help you and your furry family member feel better. Our concierge service will connect you with local professionals, and is entirely free. Kennel cough is a common, incredibly contagious upper respiratory infection affecting dogs. It should be treated fast and effectively with help from a competent veterinarian to avoid further health risks. A persistent cough associated with a runny nose, frequent sneezing, a sudden lack of energy, and a suppressed appetite can indicate that your canine companion is suffering from this particular respiratory problem. Here are a few steps that you should follow in order to cure kennel cough in dogs and witness a fast, trouble-free recovery. Is your dog coughing and sneezing all the time? Do you think it is apathetic and less interested in food and tasty snacks? All of these signs could point in the same direction, suggesting that your puppy is affected by this common canine respiratory infection. When in doubt, eliminate all other options. For instance, your dog might have an object (a stick or a bone fragment, for instance) stuck in its throat, which would obviously stop it from breathing normally. Open its mouth and take a look down its esophagus. If you don’t want to handle this matter on your own, it is advisable to call your trusted veterinarian as soon as you can. In some cases, dog owners delay the treatment, thinking that kennel cough symptoms will actually vanish into thin air after a short period of time. In fact, kennel cough is not a problem that should be taken lightly, as it could generate several unwanted complications, including pneumonia. This is why it is extremely important to follow a suitable treatment plan based on effective antibiotics like Azithromycin, recommended by a competent veterinarian who can cure kennel cough once and for all. There are several tips, approved by your trusted vet, that you can start applying in order to witness favorable results in quick time. You can strengthen your dog’s immune system by offering it vitamin C tablets or powder dissolved in water or canine whole food supplements. You can also take your puppy inside the bathroom while you’re getting ready to enjoy a hot bath. Steam inhalation has numerous verified therapeutic benefits and can calm your dog’s cough naturally. Follow all of these simple steps to cure kennel cough fast and effectively. 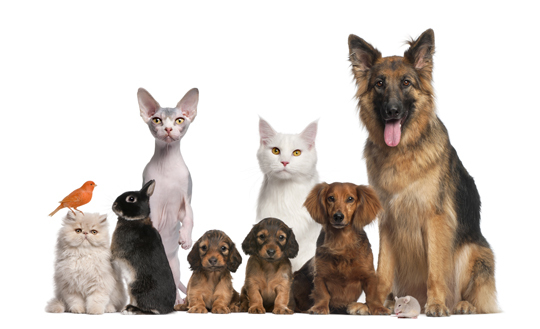 Rely on TalkLocal to find the best veterinarians operating in your area. We will connect you with the professionals who could help you protect the health of your dogs.